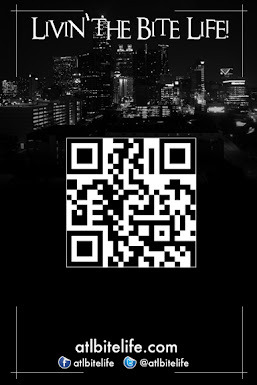 This Saturday, we here at ATL Bite Life are encouraging ALL of our readers to postpone your dinner plans or just stay in all together and park yourselves in front of the TV. 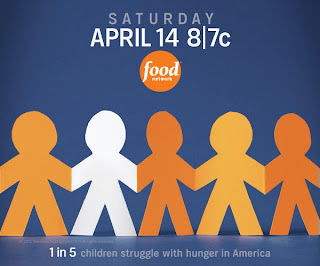 Food Network along with an organization called Share Our Strength is presenting a special documentary on childhood hunger here in the United States - a topic that many of us, especially in the foodie community, tend to forget exists in this country. Even today, I had to kinda take a step back and remember the times when eating out was one of the RAREST of luxuries in my life. My parents worked very hard to make sure that me and my brothers never missed a meal. However, we were far from living the "bite life". These days, I've been eating so good and so frequently that I created a whole site and show around me looking for new places to eat and new cuisines to experience. Funny how things change. Hunger Hits Home will take a first hand look at this nationwide crisis thru the eyes of the children, parents, activists, educators, and politicians that are actively fighting this battle on a daily basis. 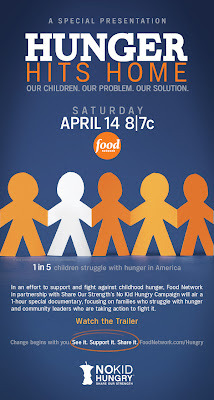 It is Food Network and Share Our Strength's hope that this documentary will be a call to action for viewers to join the fight by making donations and/or community involvement. According to the site, their goal is effectively end childhood hunger by the year 2015. I'm all for that!!! The documentary will air at 8pm EST. If you can't catch it then, set your DVR or After you watch it, come back here to this post and leave comments about what you saw. 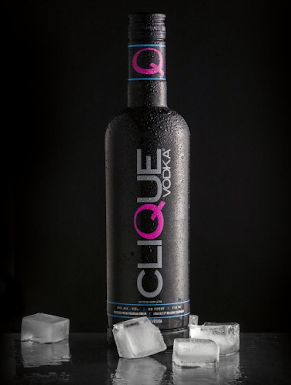 We'd love to know how you felt about it. Make sure you follow these wonderful people on Twitter - @FoodNetwork and @NoKidHungry. The Twitter hashtag for the show will be #HungerHitsHome.